NASA Nears Decision on Shuttle Repair Managers were set to make the call on whether to repair a deep gouge in Space Shuttle Endeavour's heat shielding, but they remained "cautiously optimistic" that a fix, requiring a special spacewalk, will not be needed. 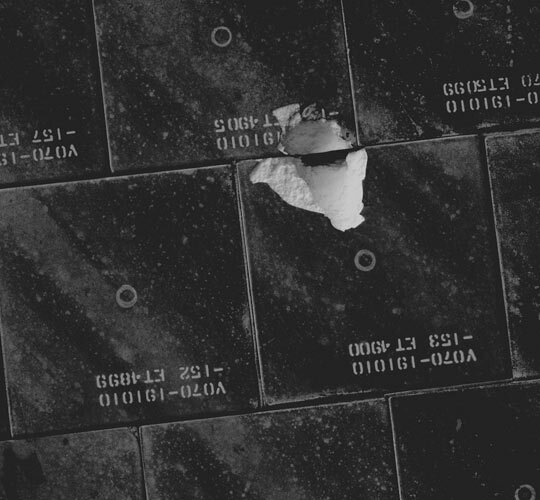 In this handout photo provided by NASA, a close-up view of damaged tile on the underside of the Space Shuttle Endeavour. 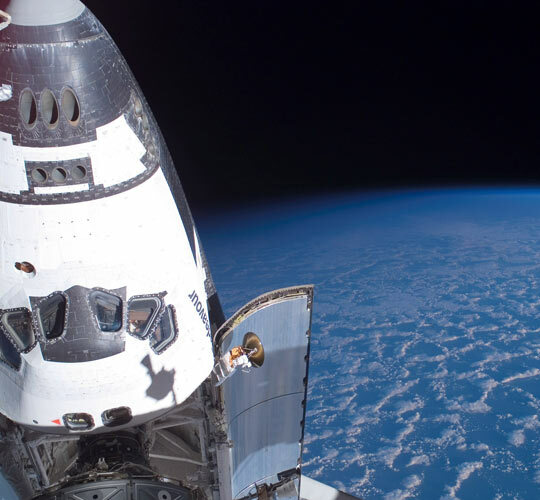 In this handout photo provided by NASA, the Space Shuttle Endeavour is backdropped by the blackness of space and Earth's horizon. NASA managers on Thursday were set to decide whether to repair a deep gouge in the heat shielding on the underbelly of Space Shuttle Endeavour, but they remained "cautiously optimistic" that a fix, which would require a special spacewalk, would not be needed. For days, engineers have been trying to determine if the small gash would endanger the shuttle during the extreme heat of reentry. Even Shuttle Commander Scott Kelly was wondering on Wednesday what NASA officials were likely to decide. "And, ah, no indication of which way they are leaning?" Kelly radioed Mission Control. The response from Mission Control was less than informative: "Unfortunately, we have no idea which way the wind is blowing at the moment." But NASA did tell Kelly that two astronauts should start preparing for a repair mission on Saturday - just in case. "Basically, we have to plan worst case. We need to get ahead of this, get some procedures up to the crew, get the ground team and everybody moving in that direction," Joel Montalbano, the lead International Space Station flight director, told reporters. 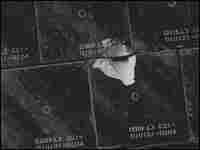 Meanwhile, NASA engineers continue to study computer models and experiments designed to reveal if the gashed tiles pose a danger. About 20,000 tiles protect the shuttle from the extreme heat of reentry. When the shuttle lifted off, a small chunk of foam broke off its fuel tank and hit two bottom tiles. It created a gash about 3 inches long and 2 inches wide. The damage exposed a tiny slice of felt covering the shuttle's aluminum frame. John Shannon, a leader of the shuttle mission, says so far the evidence suggests the gouge poses no serious danger to the astronauts. "The analysis that we have shows that there would be no damage at all to the underlying structure. Which was very good news to us," Shannon said. Even so, NASA could still decide to do a repair. That would be to prevent minor damage from heating that could delay Endeavor's next launch. First, a robotic arm would carry astronauts Clay Anderson and Dave Williams under the belly of the shuttle. Then, Shannon said they would brush some special paint into the gash and then use a high-tech squirt gun to squeeze in some pink goo. "This is kind of like when you epoxy something or caulk something," Shannon explained. "As you put a certain amount in there and you try to get it in all the right areas, if it's mixed right it will start to cure." He said NASA needs to decide if the benefits of a repair outweigh the risks. One potential problem is that spacewalkers have never ventured beneath this part of the shuttle before, and a false move during a spacewalk could damage the craft. 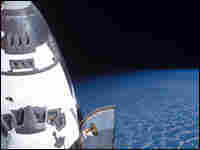 The astronauts might also be unable to use some of the cameras that could normally help engineers on the ground guide the repairs. "One of the risks that we are weighing is whether or not we can successfully perform this without any video," said Steve Doering, one of NASA's experts on spacewalking. NASA officials also have to be sure that the spacewalkers' gloves are good shape. On Wednesday, a torn glove forced the agency to shorten a spacewalk.